The Rwanda section has been archived. This organisation profile is no longer actively maintained and may not be accurate. As We Forgive Rwanda Initiative (AWF-RI) aims to transform communities by inspiring a grassroots movement of repentance, forgiveness, and reconciliation nationwide. 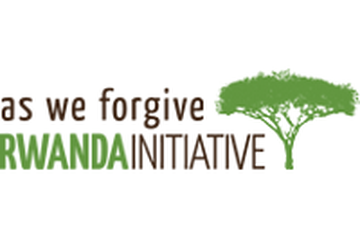 AWF-RI has set up a number of "As We Forgive Associations", throughout Rwanda. These Associations have formed voluntarily following the LivingTogether training the organisation delivers, and meet weekly, gathering for fellowship and shared projects. In mid-2014, 24 AWF Associations across Rwanda were active in conducting farming and cultivation activities as agricultural cooperatives, undertaking community rebuilding projects, and forming savings circles to hold income produced from projects and collectively meet the needs of their members. Across Rwanda’s rural villages, the AWF Associations have furthered community development and act as testimonies of reconciliation in action to their neighbours. AWF-RI’s focus on facilitating healing and reconciliation workshops among grassroots community members allowing their curriculum to reach small villages and rural populations affected by division. AWF-RI uses it's As We Forgive film and LivingTogether curriculum to try and inspire community members to lead lives of reconciliation. AWF-RI believes that one of the most powerful ways to transform a nation is through empowering future leaders – Rwanda’s young people. AWF-RI wants to capture the imagination of Rwandan youths for hope of reconciliation by engaging them through film, media, and other unique cultural activities. One of the most effective ways to reach all the youths in Rwanda is to create a safe forum for debate and discussion about reconciliation. Through film screenings of As We Forgive and the AWF-RI accompanying discussion programme, AWF-RI works to create these forums in every school in Rwanda. Student As We Forgive Clubs meeting in Rwandan schools and villages are shining examples of young people transformed by the AWF-RI message. In the organisation's Ubumwe Sports Camps, AWF-RIs engage children in active learning and discussion, using participatory activities and the context of sports combined with a youth curriculum. AWFRI focuses on principles of conflict resolution, unity, and teamwork. Regardless of economic or group identity, sports have the power to unite communities and contribute to the healing of Rwanda’s youths. Walk to Remember – East Africa is a movement empowering youths to take action against genocide. Through a series of activities that promote awareness of genocide and other human catastrophes worldwide, Walk to Remember creates a solution for prevention through education and encouragement for individuals to take personal responsibility for their thoughts and actions. President Paul Kagame participated in the inaugural Walk to Remember, leading approximately 10,000 participants to Rwanda’s Amahoro National Stadium to join in the country’s commemoration activities. For the first time, teams also travelled to all East African countries to lead similar walks to empower youths to make sure that genocide never happens again. Each April, AWF-RI continues this tradition, holding a Walk to Remember, gathering thousands from across Rwanda. Walk to Remember is a partnership initiative from the Peace and Love Proclaimers, Aegis Students, As We Forgive Rwanda Initiative, and The Commission For the Fight Against Genocide (CNLG).